In our computer systems degree, you’ll find a major focus on industry engagement. In partnership with IT industry giants such as Cisco, VMware and Microsoft, we deliver a course based on current and future industry requirements. Gain hands-on, practical experience using real equipment as well as the theoretical knowledge to be productive in the workforce from day one. You’ll learn using courseware from industry academies, which can also lead to industry certifications. You’ll be ready to demonstrate your value to an employer with this evidence-based approach. The Australian Government Job Outlook site rates these as job areas expected to grow strongly to very strongly to 2022. High profile companies such as Telstra, IBM, NAB and Dimension Data have employed our recent graduates. 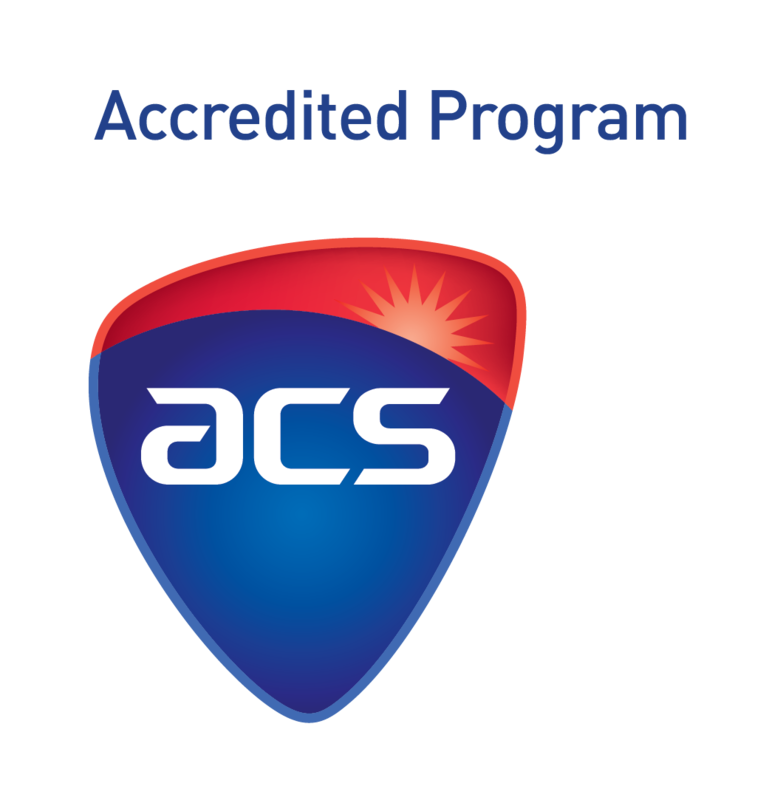 The degree has professional accreditation from the Australian Computer Society. A minimum IELTS overall score of 6.0 (Academic) with no band less than 5.5. A minimum TOEFL score of 550 for paper examination; 213 for computer based and 79 for Internet based, or approved equivalent. After successfully completing the first and second year of the Bachelor of Computer Systems, you will be eligible for the Associate Degree of Computer Systems. Applicants with work and life experience have left secondary education more than two years ago (i.e. applicants who are not classified as recent secondary education applicants) and have not undertaken VET or higher education study since then. Successful completion will enable you to pursue higher education programs at other tertiary organisations. We have established articulation pathways to Honours and Masters programs at several Australian universities. Please contact us for more details. Some of our graduates have been employed by high profile companies such as IBM, NAB, Telstra and Dimension Data. Australian Government Jobs Outlook service predicts strong growth for Systems Administrators to 2022 with 24,000 positions expected to be available between 2017 and 2022. Over the same period there will be an expected 10,000 jobs for Network Administrators. The current and future demand for Cyber Security administrators is off the scale! You will complete 20 core subjects and choose 4 electives to make a major stream (networking or virtualisation). We expect to enrol between 60 and 100 students. The aim of this subject is to equip students with a set of fundamental mathematical skills, which will allow them to better comprehend the technical concepts encountered throughout the course. Students will firstly be introduced to analytical techniques applicable to hardware applications, such as statistics and queuing theory. This will follow on to numerical methods applicable to software applications, error analysis and topology. This subject is targeted towards the Microsoft "Windows Server 2012R2" certification. This subject examines the structure and function of a Server based Operating System and includes managing accounts and resources, maintaining servers, monitor server performance, and safeguarding data. Students will plan, implement, and troubleshoot a Directory Service infrastructure which centralizes control of network services, stores objects securely in a logical structure and optimizes network traffic. Students will consolidate these concepts with hands on laboratory work. This subject includes Cisco Academy module CCNP "Implementing IP Routing". This subject builds on the basic routing principles considered in first year. It is designed to take students to the level of system evaluation and configuration. Students will be expected to exhibit a higher level of autonomy in designing, configuring and commissioning a medium sized network. This subject provides students with a solid basis in networking and routing. This involves an examination of networking from the OSI (Open Systems Interconnection) seven-layer model and TCP/IP perspectives. Students will learn the function and operation of appropriate equipment from each layer. Finally, given a small to medium network specification, students will perform the task of commissioning a network themselves. This subject is an introduction to Computer systems hardware, software and architecture. Using the PC as an example of a modern computer system, it will embody all aspects of hardware construction, fault-finding and commissioning. Suitable hardware devices and associated software will be selected, installed and commissioned to meet a given set of specifications. Features of computer architecture will be discussed with particular emphasis on performance enhancement techniques. The architectural features and performance of different computer systems will be compared. Finally, parallel architectures will be introduced, which will define the direction of all modern computer architecture designs. In this subject two aspects of Business Management will be examined: organisational leadership and financial planning. Styles of organisational structure, strong leadership and effective management of people will also be explored. Some theoretical concepts will be introduced related to the various categories of management style and positional hierarchies of people in organisations. However, a strong emphasis will also be placed on observing and reporting on real examples in order to demonstrate the value of these concepts. The subject will also investigate principles of sound business accounting practice and financial planning and introduce various tools of financial planning and analysis, along with the reasons for their value in decision making. This subject is targeted towards Linux Professional Institute certification. This subject introduces students to the technical and administrative challenges of centrally controlling a multi-user network. The Unix environment will be introduced, along with such concepts as multitasking, security, print management and data backup. The technical aspects of installation and maintenance will also be discussed. This subject includes the new Cisco Academy modules CCNA â€œScaling Networksâ€ and â€œConnecting Networksâ€. This subject examines the principles of switching, common routing and wide area network (WAN) technologies. The students will examine the fundamentals of switched network design, especially the use of trunking and Virtual Local Area Networks (VLAN), culminating in a network design involving configuration and commissioning the network. Students will then examine principles of scaling IP address and current WAN technologies. This subject provides students with an introduction to computer programming. It is assumed that students have little or no previous programming background. The basic concepts will be covered including data types, selection, iteration, input/output, file handling and arrays. The unit intends to introduce students to the concept of the database as a repository of organisational information, and to the technical requirements of database management. The unit will use the relational model of data as it is the model most commonly used in database products. The unit will show students how to design databases from business requirements and how to create and populate database tables, modify table contents and interrogate them in order to report the organisational information held within the database. The syntax of the required SQL language statements will be taught. Systems Analysis and Design (SAD) are the two fundamental investigation and planning activities associated with the development of computer-based information systems. They constitute the major investigative and planning activities that are undertaken by the IT professional before and during the software development stage of the information system development lifecycle. This subject is intended to introduce the student to the activities of Systems Analysis and Design, and to the professional roles involved in the Systems Development Life Cycle, particularly the role of Systems Analyst. This subject includes Cisco Academy module CCNA "Security". This subject serves as an introduction to the problems posed by data security in networked computer systems. The vulnerability of these systems to malicious activity will firstly be considered. This will follow on to the various technical methodologies and management policies designed to protect systems from such activity. The emphasis will be on higher level activities such as policy decisions and network configuration. Students will be exposed to advanced techniques in network security and will consolidate these with laboratory and assignment work. This subject includes VMWare Academy courseware. This subject provides students with knowledge and skills in the different techniques of virtualisation and how these can be applied in an enterprise environment involving data centres and cloud systems. This subject covers fundamental cloud computing topics as they pertain to both technology and business considerations. It covers Software as a Service (SaaS), Platform as a Service (PaaS) and Infrastructure as a Service (IaaS) Cloud Delivery Models. Public, private, hybrid and community clouds are considered. External issues such as service level agreements, privacy, security and legal requirements are addressed. The subject includes vendor-independent courseware. It also includes a practical component based on vendor-specific cloud frameworks such as Google or Amazon clouds. Cisco Wireless Certification. As technology continues to evolve, wireless technologies are finding their way to the forefront of networking solutions to business requirements. This clearly indicates the progression from a fixed wired type of connectivity to a more fluid, mobile workforce that can work when, where, and how they want. This subject deals with the theoretical and practical aspects of wireless technologies. The CCNA Wireless curriculum includes information and practice activities to prepare students for configuring, monitoring and troubleshooting basic tasks of a Cisco WLAN in Small and Medium Business and Enterprise networks. After completing the subject, students should have the associate-level knowledge and skills to configure, implement and support of wireless LANs, specifically those networks using Cisco equipment. They are also able to support a basic wireless network on a Cisco WLAN in a SMB to enterprise network. This subject explores the various concepts of modern information storage and management infrastructure in classic, virtualised and cloud environments. Students will develop relevant knowledge and skills to identify various physical and logical components of storage systems and their behaviour, which is critical for successful design of storage infrastructure. They will also evaluate security and management requirements and solutions for storage infrastructure to achieve business objectives and service levels. It includes courseware form EMC and NetApp. This subject is designed to provide the knowledge and understanding needed as a foundation for working on, initiating and managing organisational projects. The PRINCE2™ project management method is used as the framework for introducing project management as a process. The principles and themes of the method are explained. The staged nature of projects, and the processes within stages are explained. Some characteristic techniques that have application in the project management processes are presented such as Cost Benefit Analysis, CPM, Gantt Charts and Risk Analysis. This subject includes Cisco Academy module CCNP "Implementing IP Switching". This subject builds on the concepts of routing and remote access introduced in second year. A strong emphasis will be placed on practical work to enhance these concepts. Students will be exposed to the challenge of designing and implementing a multilayer switching design local area network. This unit provides students with an understanding of entrepreneurship, innovation and new venture management. Students will learn how to leverage business management knowledge and use it successfully in entrepreneurial ventures. A key focus will be the development of enterprising and entrepreneurial attitudes, skills and behaviours to ensure the effective establishment of management and work, regardless of the organisational context. After completion of this subject, students will gain skill and knowledge necessary to design small and medium-sized computer network including LAN, WAN and wireless network. Student will also learn to transform their technical skill into real life scenario by working on a project involving network design. This subject provides students with an opportunity to put into practice the knowledge and practical skills learned during the course. Each student will undertake an ICT-based project. The aim of the project will be to develop a new ICT product or enhance an existing system. Each project will go through the various system development life cycle stages including project planning, design, implementation and testing. Students will present their project outcomes and demonstrate working of the project during a seminar arranged by a project coordinator at the end of the semester. This subject is designed to keep students abreast of current trends and potential future changes in technology. A selection of technologies will be discussed, along with the reasons for their emergence and/or their potential to transform the current technology market. It is envisaged that this subject will be where new technologies will be explored. This subject introduces the students to effective techniques in finding and solving problems within a medium sized WAN and LAN network design. Various debugging methodologies, diagnosis tools and documentation techniques will be introduced in lectures and consolidated with the use of case studies, real examples and short tests. This subject builds on the concept of designing a modern data centre. It includes implementation of various virtualisation techniques to reduce required physical equipment, and network and storage consolidation. Additional measures to reduce power consumption and provide effective cooling systems will be discussed to design an energy-efficient data centre. Finally, all other aspects of data centre design including consideration for growth, flexibility, security, business continuity, interconnection technologies, location and optimisation will be considered. This subject includes Citrix courseware. This subject explores the various components of desktop and application virtualization environments. For desktop virtualization this includes desktop virtualization issues; VDI (virtualized desktop infrastructure; streaming desktop technologies; and possible desktop client solutions. For application virtualization this includes AVI (application virtualization infrastructure); server role in application delivery; and publishing applications and content to users. Integration of these into an optimised environment is considered along with issues such as load management and security. examination of the Internet of Things. We will study the Internet of Things, its application, technologies and how it may impact the future. This subject deals with the issues of managing a Virtualised Network environment. This includes many new network concepts. Examples are Software Defined Networks, Northbound and Southbound interfaces, SDN Controllers, Openflow, NSX Virtualised Network Platform, Network Virtualisation and Network Function Virtualisation.